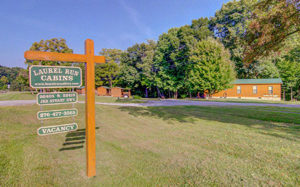 Our Whitewater cabin located within walking distance to downtown Damascus VA. includes a fully stocked kitchen, queen beds, full bathroom, A/C. Wi-Fi, gas grill, dishwasher, and linens and towels are included. With easy access to the Virginia Creeper Trail. Stay 6 nights and get 7th night free any cabin any time. Our Hiker cabin located within walking distance to downtown Damascus VA. includes a fully stocked kitchen, queen beds, full bathroom, A/C. Wi-Fi, gas grill and linens and towels are included. With easy access to the Virginia Creeper Trail. Our Fisherman cabin located within walking distance to downtown Damascus VA. includes a fully stocked kitchen, queen beds, full bathroom, A/C. Wi-Fi, gas grill, dishwasher, and linens and towels are included. With easy access to the Virginia Creeper Trail. Our Cyclist cabin located within walking distance to downtown Damascus VA. includes a fully stocked kitchen, queen beds, full bathroom, A/C. Wi-Fi, gas grill, dishwasher, and linens and towels are included. With easy access to the Virginia Creeper Trail. This cabin is located near Alvarado Station and is more secluded than our other cabins. It is 4 miles from Damascus towards Abingdon and less than a mile form the winery. Offering a large lot with an ideal view overlooking the Virginia Creeper Trail and the South Fork Holston River. It provides easy access to the Virginia Creeper Trail. All our cabins come with a fully stocked kitchen. microwave, toaster, oven, and drip coffee pot with filters. You will find glasses, silverware, plates, mugs, pots and pans and all the basic supplies you will need to conduct simple cooking or food preparation in your cabin. Queen beds, full bathroom, A/C. Wi-Fi, gas grill, dishwasher, bed linens, bath and kitchen towels are included. Stay 6 nights and get 7th night free, any cabin any time.